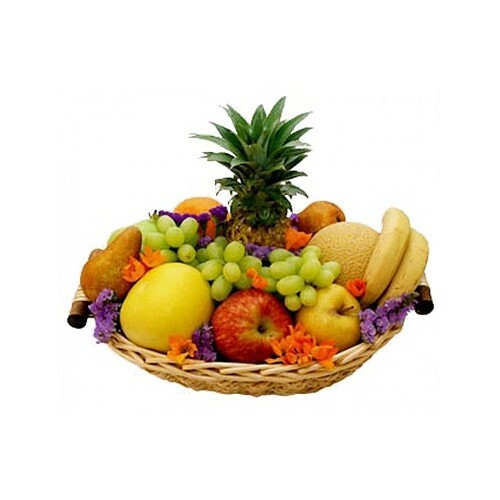 Offer fresh fruits nicely arranged in a basket. Celebrate with a rich selection of seasonal fruits include Pineapple, Pears, Oranges, Bananas, Grapefruit, Kiwi, Apples and Grapes. We include hand-picked flowers to complete this fun and festive offering!